Just add water and mix on a slow speed until light and fluffy. 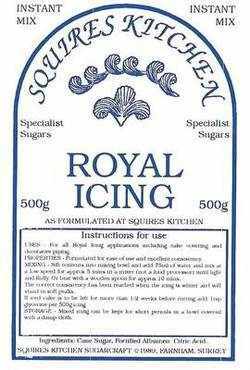 Perfect for any application where royal icing is used, from coating to fine line work, shells to piped flowers. Can be coloured using liquid or paste colours.